I talked a little bit in my last post on Crazy about this drama, Thai Dramas, Not My Cup Of Tea, which I’ll repost here on the new site. As more and more time passes between me and the watching of this drama, I’m looking fonder upon it. Figuring it was best to bang out a review before my rose-colored glasses of nostalgia renders everything with a rosy, “wasn’t that so freaking cute” glow, I sat down to work. Although, in all honestly, it might be a little late for that already. The glow of love around story is multiplied by the fact that I managed to find someone who is subbing the web book that the story was originally based on. While the storyline sticks fairly close to the source material, there is so much more to the book that I’m really enjoying and makes me love this couple even more. Although let me tell you, if I get to the end of all this and these two guys don’t get to stay together in the end? There is going to be some first level retribution plotted in my head. 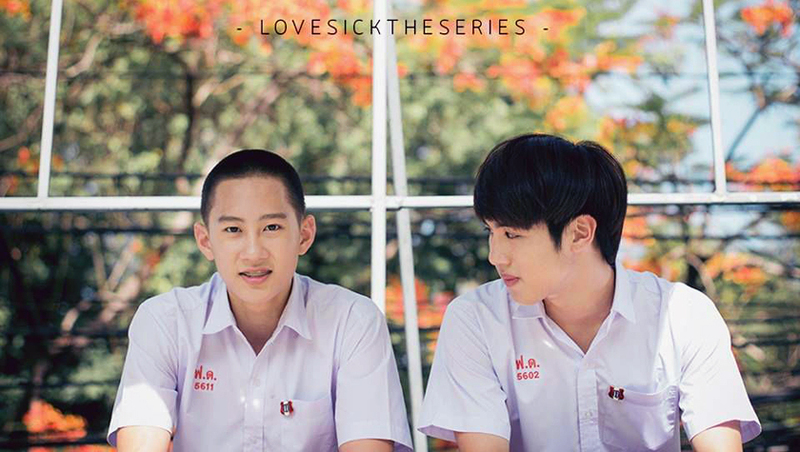 Seriously, Noh and Phun are freaking adorable and if they don’t get their happy ending merely on the grounds that they are gay? It will be completely unfair and I will lose all faith in drama-love. And according to the conversation we had on Twitter this weekend, I am not alone. As I said, I’m not as familiar with Thai dramas, I might be tuned into the wrong networks but I just don’t see as much information about them as I do on Kdrama. However, Tumblr and Youtube seem to have made some sort of dark pact, determined to do their part to get me to watch. They have both figured out that I’m a sucker for two things, super squeeee worthy romantic couples and, embarrassing to admit, gay romances. (DON’T JUDGE ME!) Now, the first time that Tumblr and YouTube plotted against me, throwing a drama in front of me, it totally worked out. The drama was Life Is Beautiful and as it had the mother load, a super squeee worthy romantic couple, who happened to be gay. Win, win! Both companies did their part, Tumblr with the warm fuzzy Gifs and Youtube with the fan made super cuts (videos of all the cute couple moments set to an appropriately gushy love song).